Lexington, Ky.—Jan. 24, 2019—With more than $12.7 million paid out to USHJA International Hunter Derby competitors since 2009, the U.S. Hunter Jumper Association encourages owners, riders and trainers hoping to showcase a horse in this exciting program to enroll their horses for 2019 before the first enrollment price increase of the year, which occurs on February 2. Exhibitors may enroll horses for $350 through February 1. On February 2, the price increases to $550 until June 1, and after June 1, the price increases to $750 for the remainder of the year. A horse may compete in an International Hunter Derby without being enrolled in the International Hunter Derby Program, but a horse must be enrolled in the program to be eligible for inclusion on the regional and national money won tracking lists, and to participate in the Platinum Performance/USHJA International Hunter Derby Championship. USHJA International Hunter Derby horse enrollment is effective from the date on which a horse is enrolled through Nov. 30 of the competition year. Money won in International Hunter Derbies prior to enrollment in the program is not retroactive and does not count toward tracking lists, regional awards or Derby Championship qualifying. "Last year we celebrated 10 amazing years of the USHJA International Hunter Derby Championship, and we're thrilled for what this program continues to do for the sport," said Ron Danta, chair of the USHJA International Hunter Derby and Incentive Task Force. "We encourage owners, riders and trainers to enroll their horses early, so they don't miss out on the opportunity to qualify for the Championships and earn year-end awards." With approximately 70 events slated for 2019, the USHJA extends special thanks to all the hosts of USHJA International Hunter Derbies throughout the country. View all USHJA International Hunter Derby classes at www.ushja.org/IHDCalendar. "We couldn't offer this opportunity to members without the support of so many competition managers, owners, riders, trainers and volunteers," continued Danta. "It's great to see how our community builds up important events like these that bring excitement and energy to the Hunters." 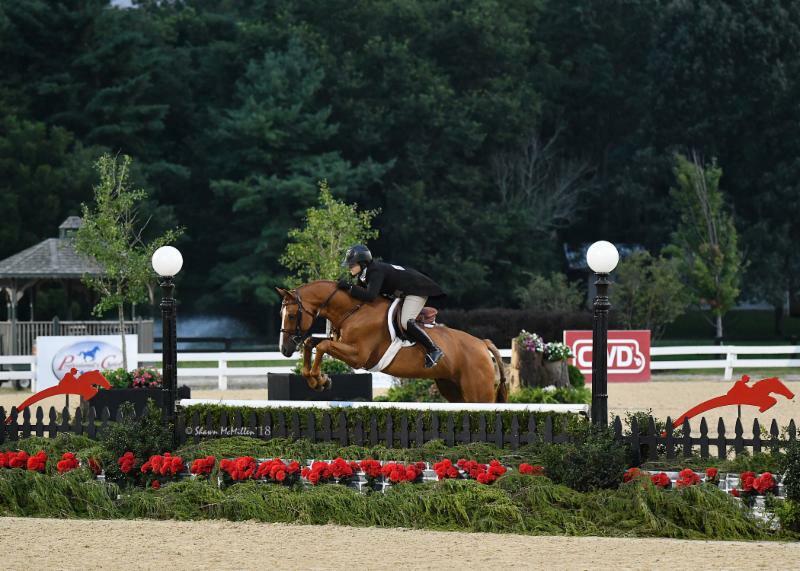 The 2019 Platinum Performance/USHJA International Hunter Derby Championship will be held at the Kentucky Horse Park in Lexington, Kentucky, August 15-17, 2019. Every horse enrolled in the USHJA International Hunter Derby Program that earns a minimum of $500 in USHJA International Hunter Derby classes, while enrolled, at competitions with start dates from June 2, 2018, to June 1, 2019, is eligible to compete. Last year with a total available purse of $289,730 in the Championship, Victoria Colvin and Brad Wolf's Private Practice earned the title and top check of $48,929.60 with tremendous scores across the two-round championship. Again, the Championship will offer payouts for riders by tier, encouraging new derby competitors to take on the Championship. Last year, Tier II rider Dorothy Douglas earned third in her Championship debut, earning a check of $24,000 aboard MTM One Time, owned by MTM Farm. For more information or to enroll a horse in the USHJA International Hunter Derby Program, visit www.ushja.org/IHD.